From the appearance of the first English translation of the Arabian Nights’ Entertainments at the beginning of the eighteenth century, the dazzling tales of Scheherazade have been mined for their dramatic potential. Indeed, it would be hard to imagine a playwright not intrigued by the obvious theatrical scope offered by fables that feature enchanted objects, titanic rivalries, and romantic passions assisted by the supernatural. In his catalogue of plays produced or printed in England between 1660 and 1900, Allardyce Nicoll lists more than a hundred based on the story of Aladdin, nearly sixty on the story of Sinbad, and about three dozen on the story of Ali Baba. Of course we know these characters today primarily in their pantomime incarnations, but during the late eighteenth century and the first half of the nineteenth century, their adventures were also the subject of more or less straight melodrama and opera, spectacles combining breathtaking stage effects, a few favourite singers, and musical numbers that could be transferred easily to concert hall and home. Most of these were derived from the first English version of the tales, the anonymous “Grub Street” edition that appeared between 1706 and 1721. 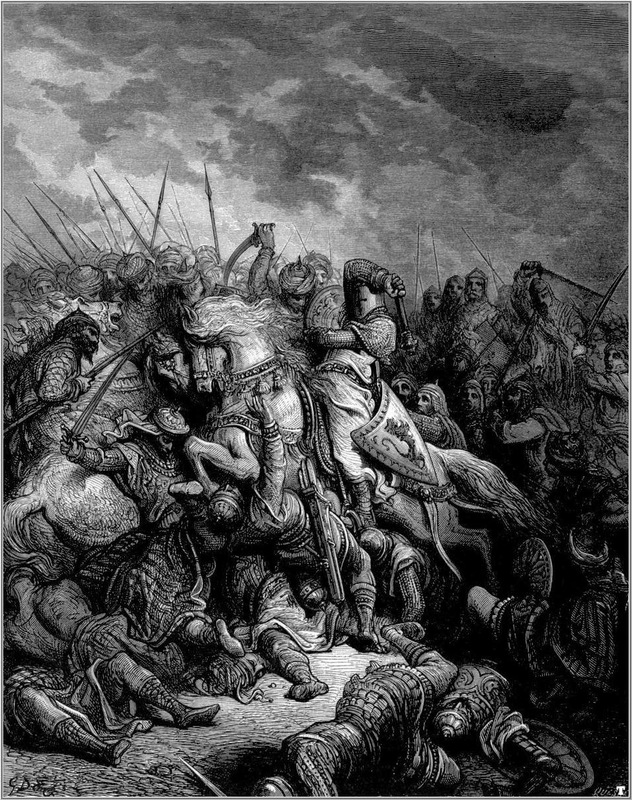 This was a translation of a twelve-volume work by the French diplomat and classicist Antoine Galland, which was itself based on a fourteenth-century Syrian manuscript. Some of the most famous stories, including Aladdin, are thought to have been interpolated into the collection by Galland himself but have nevertheless come to be considered part of the Arabian Nights canon. At their heart, these are stories about the power of stories, and certainly we can agree with G.K. Chesterton, who said that few other books can match their splendid tribute to the omnipotence of art. You are all familiar with the framing device used in the tales: in revenge for the infidelity of his first wife, a sultan has vowed to kill his future wives the day after he marries them. His latest wife, Scheherazade, avoids this fate by ensnaring the sultan in a web of story-telling that keeps him in suspense for a thousand and one nights. By that time, the sultan has become so enthralled with her that he spares her life. Scheherazade’s cunning stories save her. Drawn from Indian, Persian, and Arabic oral traditions, they include fables, fairy tales, proverbs, riddles, songs, love poems, and historical anecdotes. They are populated by genies, fairies, demons, and magicians and abound in passion, pathos, violence, bawdy humour, and fantasy. 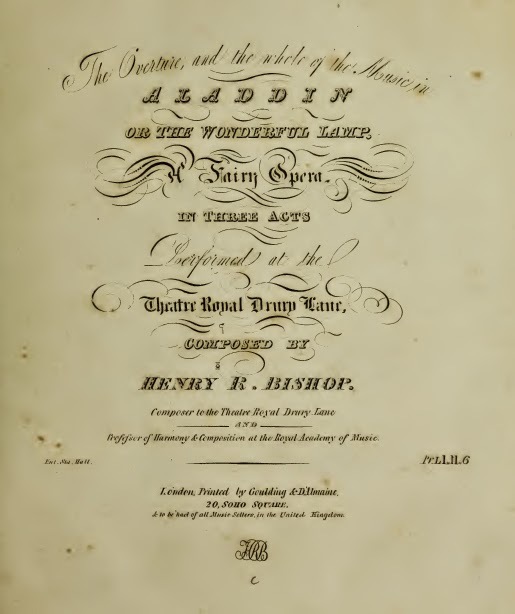 To discover the appeal of these oriental tales to Georgian audiences, let's take a closer look at Aladdin – the “fairy opera” written by George Soane with music by Henry Rowley Bishop that was first produced in April 1826 at the Theatre Royal, Drury Lane, London. The production was not successful; in fact, after a year in preparation and months of intense puffery, it failed miserably. As far as I can tell, it had only ten performances. I have chosen to focus on it because of the extraordinary cast of characters involved in its production – many of them among the most prominent figures of the Georgian theatre – and because it represents an important milestone in the popular reception of the Arabian Nights stories. In its review of this production, The Times stated that such was the popularity of the Arabian Nights tales in the Georgian era that none in the audience could possibly have been unfamiliar with them: “they are read with avidity in early life,” the reviewer noted, “and the memory, even in age, delights to dwell on the marvellous powers of Aladdin’s ring and lamp, on the narrow escapes of the enterprising Sinbad, on the wonders of the city of enchanters, and the various strange adventures with magicians and genies to which the heroes and heroines are so frequently exposed.” The same week that Aladdin opened at Drury Lane, The Times reviewed yet another new print edition of the tales. The first English play based on the Aladdin story was written by John O’Keefe in 1788 for Covent Garden. This was followed by numerous other versions in London and the provinces over the next few decades, all of which were intended to capitalise on the Georgian fashion for stories set in enchanting and enchanted places. In the autumn of 1825, Covent Garden produced a pantomime Aladdin, which was followed in the spring of 1826 by the fairy opera Oberon by the German composer Carl Maria von Weber, then at the height of his popularity in England. 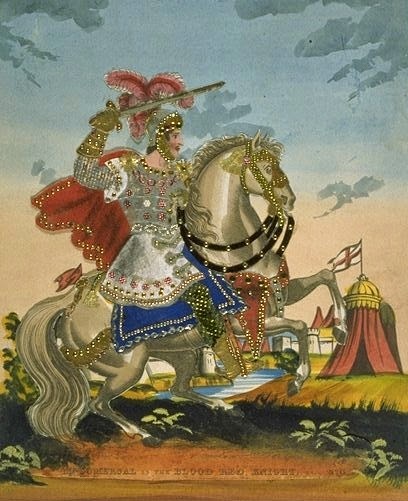 Oberon boasted a libretto by James Robinson Planché set in Baghdad that combined the brave deeds of a Christian knight, the cruelty of a Muslim caliph, the trial of true love, and a flock of Shakespearian fairies, including Oberon and Puck. With Weber conducting, the opera was an instant success. Over in Catherine Street, things were not going as well. Robert Elliston, the proprietor of Drury Lane, had suffered a stroke the previous autumn and was drinking heavily as his theatre approached bankruptcy. He had already produced his own ersatz Oberon two weeks before the Covent Garden production opened, but to no avail. He needed desperately to have a hit, something that could serve as a rival attraction. The year before, he had successfully produced Weber’s early opera Abu Hassan, based on the Arabian Nights story “The Sleeper Awakened,” and so he decided to go to the Scheherazade well once again. This time the subject would be Aladdin. George Soane was asked to prepare a libretto and Henry Bishop was assigned to furnish the music. Bishop had been serving as composer and music director of Covent Garden for fifteen years when a disagreement over his salary prompted him to move to Drury Lane for three years beginning in 1825. Today he is perhaps most famous for the song “Home, Sweet Home,” but over the course of his long career he composed or arranged some 120 dramatic works, including 80 operas. His modern reputation is not high, probably because his role as music director required him to produce a great deal of forgettable hackwork. He was, however, very highly regarded in his day and was knighted in 1842. 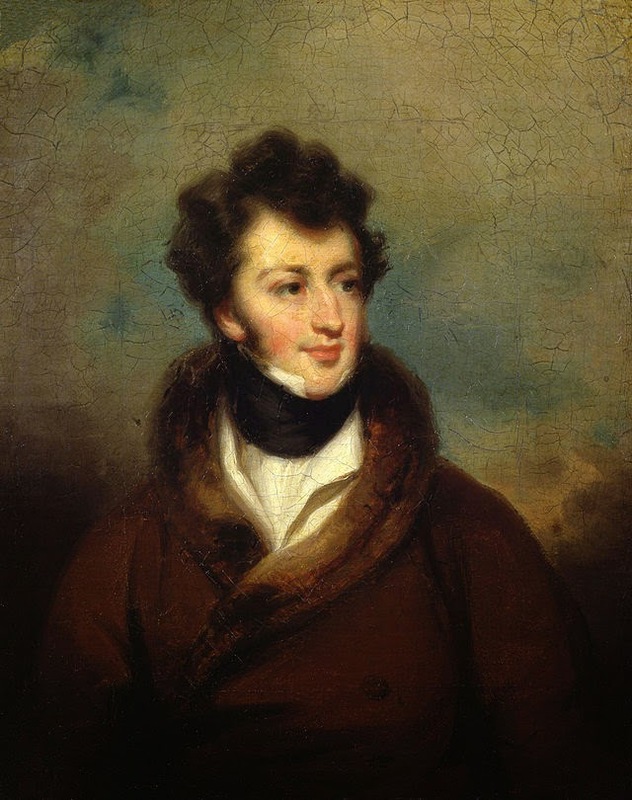 Soane was the youngest son of the famous architect Sir John Soane and although he is all but forgotten today, he was among the Georgian theatre’s most prolific playwrights. In addition to writing libretti for Bishop, Soane wrote for other distinguished opera composers of the period, including Michael Balfe. Soane is a very interesting character. He was by all accounts brilliant and often charming, a graduate of Cambridge and fluent in several languages. Yet he married an unsuitable woman, in his parents’ estimation; he may have had a child with his sister-in-law; and he was often imprisoned for debt. In short, he continually dashed his family’s high hopes for him. Things came to a head when George published two defamatory articles criticising his father’s work and disproportionate influence on English architecture. These vicious diatribes have been blamed for hastening the death of his ailing mother; whatever the case, Sir John instantly disinherited him and eventually left his estate to the children of his other son and – as I’m sure you know – his magnificent home in Lincoln’s Inn Fields to the nation, where it can be visited to this day. For Aladdin, which is in three acts, Soane closely followed the traditional storyline. An African sorcerer named Mourad arrives in Isfahan, Persia, in search of a magic lamp hidden in a cave in the desert. He encounters Aladdin and promises him great riches if he will descend into the cave and bring out the lamp. Mourad gives Aladdin a gold ring and Aladdin descends into the cave. In the middle of the cave, which sparkles with jewels, sits a giant figure clutching a rusty lamp. Aladdin takes it but as he tries to climb out of the cave he falls and the opening above closes over him. Angry at Mourad, who has left him to die, Aladdin rubs the lamp in an attempt to clean it and the three genies of the lamp appear, ready to do his bidding. They take him back to Isfahan and he falls in love at first sight with the princess Nourmahal, the sister of the shah. Aladdin asks the shah for permission to marry Nourmahal, which is granted after Aladdin conjures forty gold urns borne by forty black slaves and forty white slaves. In his joy, Aladdin has the genies of the lamp create a magical palace suitable for his bride. Mourad, meanwhile, learns that Aladdin did not die in the cave. He poses as a tradesman offering new lamps for old and tricks Nourmahal into giving him Aladdin’s enchanted lamp. Mourad summons the genies and makes them transport the new palace, with Nourmahal and himself inside, to Africa. Frantic at the loss of his sister, the shah sentences Aladdin to death but gives him seven days in which to find her. The seventh day arrives and Aladdin prepares to take poison to avoid the worse fate of impalement. He realises that he is still wearing the gold ring given him by Mourad, and in his attempt to remove it summons the genie of the ring, who at his request takes him to Nourmahal. The scene shifts to the palace in Africa, where Mourad tells Nourmahal that she must marry him or die. Aladdin arrives, dressed as a minstrel, carrying the poison. He tells Nourmahal to pretend to accept Mourad’s overtures and then to slip the poison into his goblet. Mourad drinks from the goblet and Aladdin reveals himself. As he dies, Mourad has one last trick up his sleeve: he tells Aladdin that if he lights the enchanted lamp, he will gain the wisdom of Solomon. Nourmahal seizes the lamp, lights it, and the lamp disintegrates, freeing the genies. The final scene is a tableau of all the characters in the cave seen at the beginning of the opera. 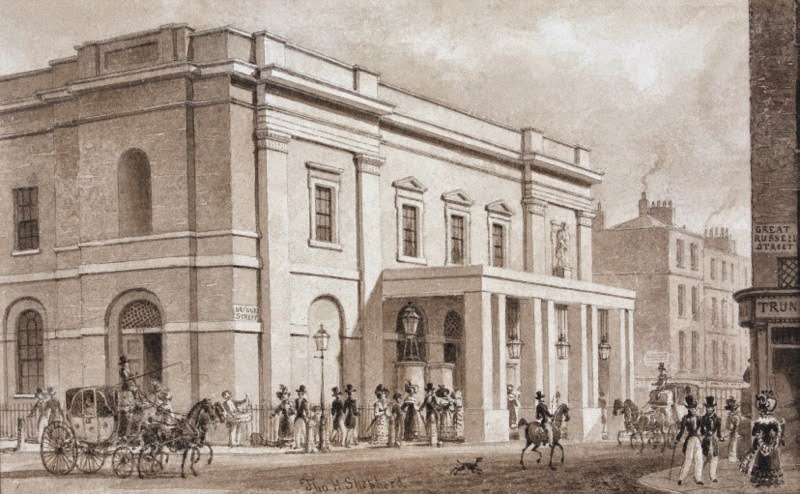 Although Soane’s libretto had been trimmed by James Winston, who was at this time the theatre’s acting manager, the opera was still unbearably long. Weber was present at the premiere and later described the experience in a letter to his wife. The performance, he wrote, lasted four-and-a-half hours – long enough to kill the audience as well as the work. Apparently, the first act alone took two hours; one London paper noted that when the drop fell, “the half price gentry were scrambling over the gallery benches.” Weber went on to say that the libretto was weak; the music rarely more than pretty; and some of the singing truly atrocious. The audience had cheered Weber as he entered the box that had been placed at his disposal, and when a hunting chorus of Bishop’s was sung they actually hissed and began whistling the hunting chorus from another of Weber’s operas, Der Freischütz. The part of Aladdin was sung by the soprano Catherine, or “Kitty,” Stephens, one of the most popular English opera and concert singers of her generation. 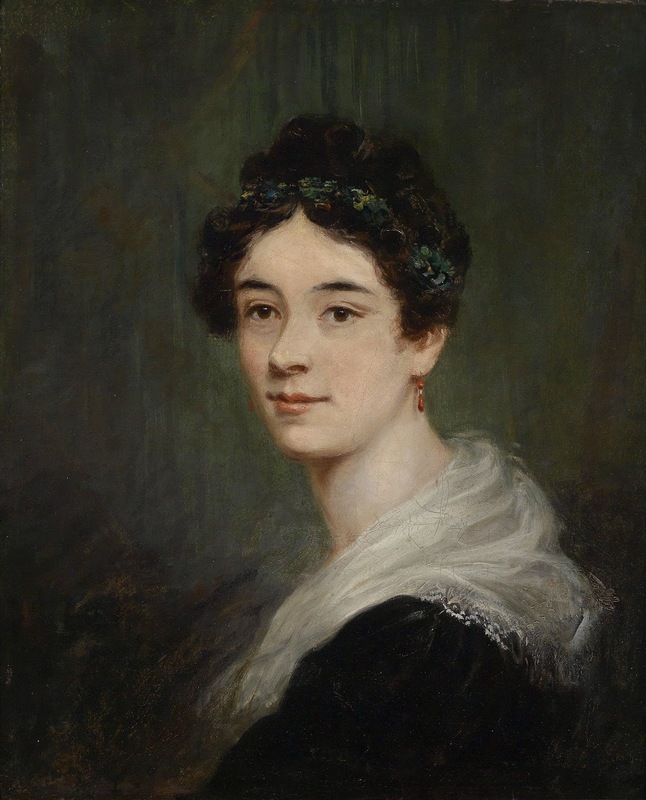 Stephens had joined Drury Lane in 1824 after falling out with the managers of Covent Garden, where she had made her debut eleven years earlier. 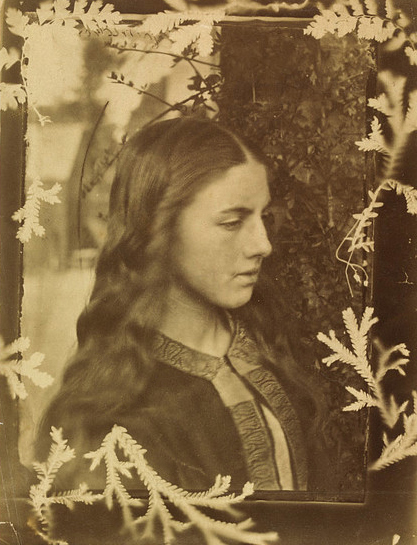 Oxberry’s Dramatic Biography described Stephens as about medium height, with a pretty figure, dark hair and eyes, and a countenance that reflected the simplicity and sweetness of her nature. The prevailing narrative about Kitty Stephens, as evidenced in Oxberry’s and other popular works of Georgian biography, stressed her respectability and exemplary conduct. Ballads, especially pathetic ballads, were her specialty. Her singing made Kitty Stephens rich. 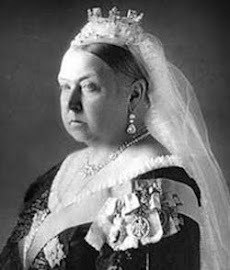 In 1838, three years after she retired from the stage, she married the 80-year-old Earl of Essex and became even richer. In 1826, though, she was still at the height of her powers, captivating those who came to see her in Aladdin. In a review that was otherwise critical of the production, The Times praised her acting abilities, which had charmed the audience nearly as much as her expressive style of singing. Despite its shortcomings as music, the opera successfully evoked the popular Georgian conception of the East. Aladdin was calculated to provide maximum opportunity for scenic display and it was advertised to appear with entirely new scenery, machinery, dresses, and decorations. The production featured 15 different settings including the jewelled cave, raging storms, an elegant imperial palace and harem gardens, a flying palace that lifts off from Persia and lands in the African desert, bustling streetscapes, panoramic city views, and a mosque with a practicable minaret. Most of this was devised by the great Clarkson Stanfield, who was assisted by the Scottish artist David Roberts, a specialist in architectural subjects. Roberts had a longstanding interest in the Near East and today he is remembered primarily for a series of drawings and watercolours he made during a trip to Egypt at the urging of his friend JMW Turner. Soon after he finished work on Aladdin, Roberts left Drury Lane for Covent Garden, where his expertise in painting Eastern subjects was put to good use in the London premiere of Mozart’s The Abduction from the Seraglio. Lighting and machinery played a crucial role in Aladdin. Scenes go dark as storm clouds gather, vivid flashes of lightning illuminate acts of sorcery and magic; a bright flame guides the way to the mouth of the enchanted cave; clouds and mist rise and then vanish to reveal splendid scenes; characters sink through the stage floor as buildings rise from it; the genies of the lamp appear in clouds dripping fire; a mechanical dove swoops in occasionally; and the magic lamp glows and then shatters at the end of the opera. The management of all the moving parts of this production proved tricky on opening night, with The Times calling attention to the fact that the actors were often obliged to stand still while the audience was regaled with the loud swearing of the carpenters. 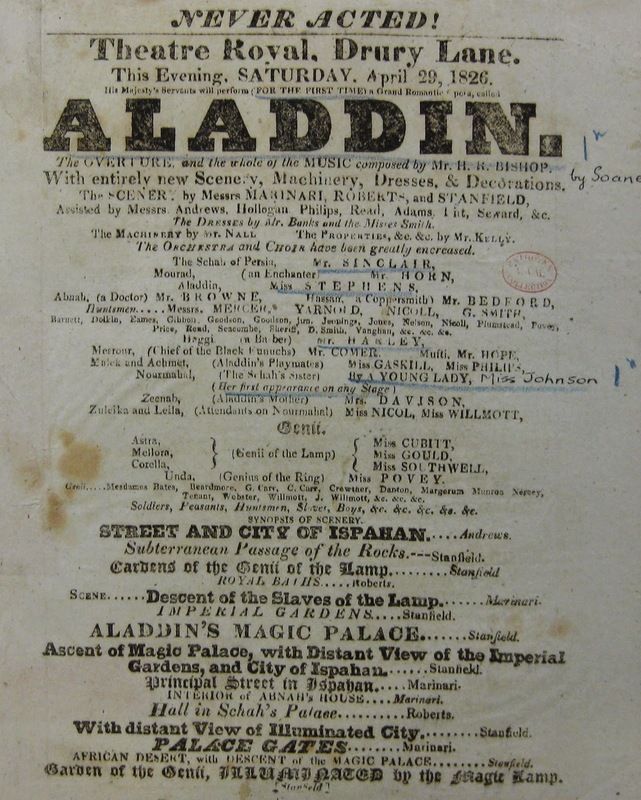 Aladdin was one of three operas by Bishop written for Drury Lane that have Eastern settings. 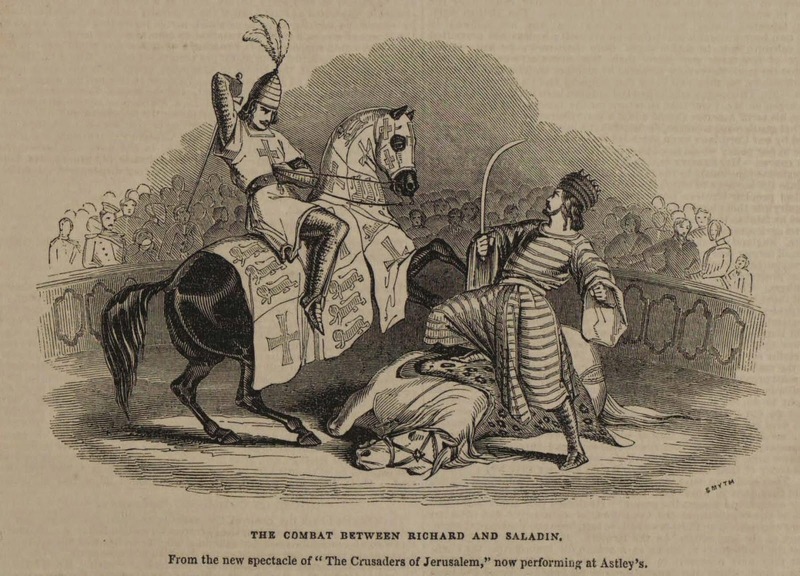 The Fall of Algiers, which was produced the year before Aladdin, is based on England’s 1816 battle with the pirates known as the Barbary Corsairs, who operated out of Tunisia and preyed on shipping in the western Mediterranean. Englishmen in India, produced the year after Aladdin, is a sentimental love story involving an Indian girl and her English guardian. These works, and many others like them, drew audiences interested in the picture they presented of life in the East. This was a picture generally derived from partial and faulty knowledge that produced a vision of the Orient as simultaneously mysterious, enticing, and threatening. 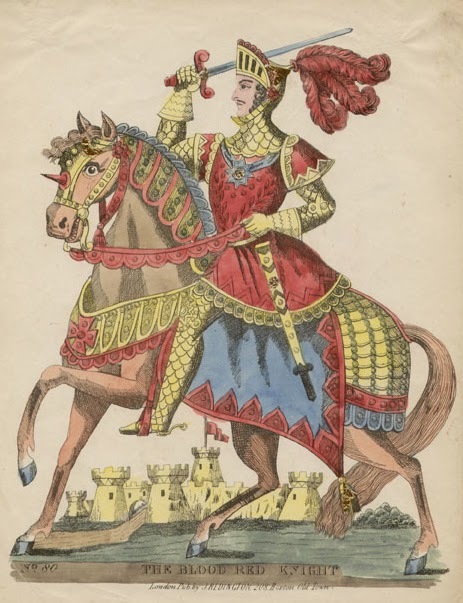 In the eighteenth and early nineteenth centuries, travel to the East was still unusual and difficult and the theatre served to educate the public—at least that segment of it that attended plays—in a linguistic and pictorial vocabulary that organised and interpreted the regions east of Europe. For the Georgian period, the oriental tale had a two-fold attraction: the exotic appeal of the setting, and the comfortable familiarity of its moralising themes. In the preface to an 1807 edition of the Arabian Nights, the universal human responses of the reader are appealed to as a way of overriding his or her ignorance of an alien culture. In fact, the English treatment of the stories, whether in books or on stage, was a constant oscillation between a domestication of them and an attempt to view them in their own context. The audience of Bishop’s opera is never allowed to forget that the world of Aladdin is an Eastern – specifically a Muslim – world. The Prophet Muhammad’s name is invoked constantly and Allah’s protection is sought at every turn. Characters swear by Muhammad’s beard and by his sacred tomb. One character struggles to observe the Muslim prohibition against the drinking of alcohol. All the men wear turbans, all the women are veiled; all the Christians are called “dogs” and “pale infidels.” Aladdin’s marriage to Nourmahal is said to represent the will of Muhammad; when the shah later discovers that his sister is missing, he calls to Muhammad to forgive him for allowing his sister to marry a wizard. The second act ends with an extraordinary tableau: as night falls, the Muslim call to prayer is heard and all the characters kneel and pray. But it’s a magic world, too. The plot, after all, revolves around a magic ring, a magic lamp, and magical beings who are enslaved to these objects. The villain, Mourad, is an African sorcerer whose use of magic to achieve his own nefarious ends marks him as corrupt, a recurring type in Georgian orientalist literature. Despite its ravishing scenery, which critics without exception called “truly beautiful” and “very grand,” Aladdin did not attract. 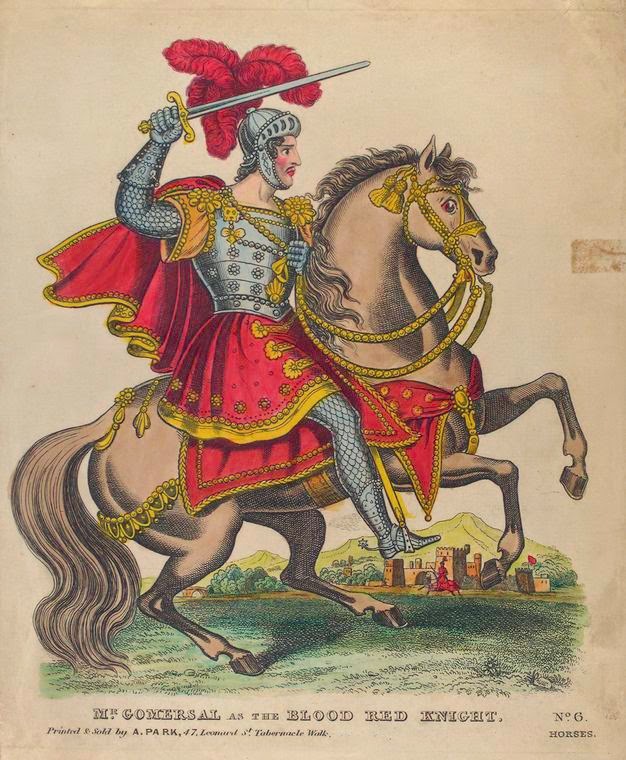 A mere six days after it opened, Elliston announced that it would be played just once a week, ostensibly because of the preparations required for a new production of Shakespeare's Henry the Fourth, Part One, with William Charles Macready as Hotspur. Elliston recovered enough of his health to create his last original role, Falstaff, in this production, and played it to great acclaim for several more years at the Surrey. 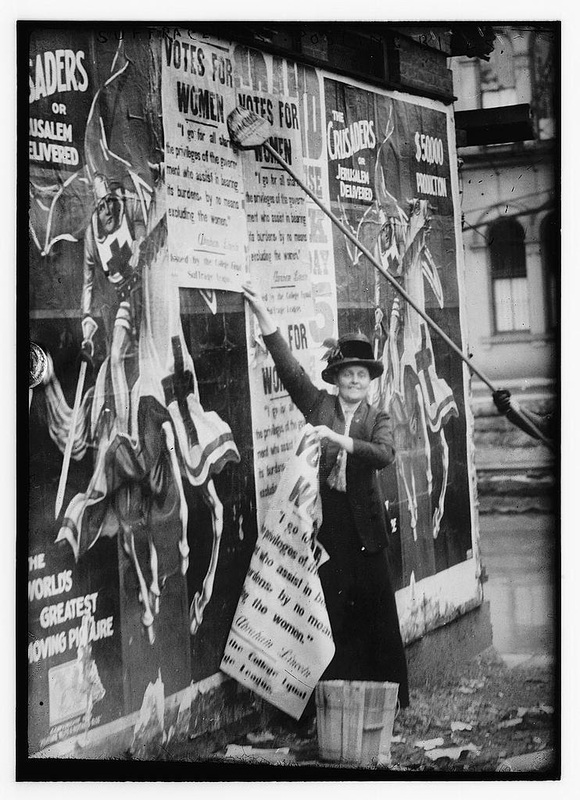 On May 16 the imitation Oberon was put back on the Drury Lane schedule, alternating with Macready’s Othello, and on May 30 Aladdin was produced for the tenth and final time as a benefit for Kitty Stephens. Although the work was written and billed as an opera, its similarities to the pantomime form are obvious: the free-spirited Aladdin, played by a female singer, is a principle-boy figure who shares many traits with Harlequin; Nourmahal, a young woman under the controlling thumb of her domineering brother, is related to Columbine; Aladdin loses his magic lamp, analogous in this way to Harlequin’s magic bat, and loses his power temporarily; the lovers are tested by adversity and threatened by a lecherous older man who embodies all of the so-called Oriental evils, including greed and trickery; a benevolent fairy in the shape of the genie of the ring intervenes to bring the lovers together in a final spectacular scene in the dwelling-place of the genies of the lamp. 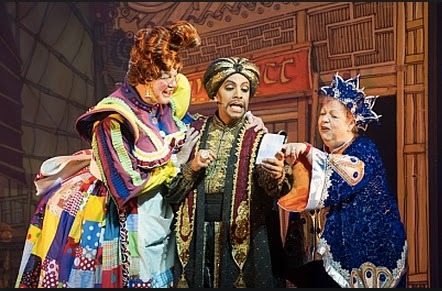 Six months after Bishop’s opera opened and then closed in London, a version of the Aladdin story squarely in the pantomime tradition opened at Christmas in Glasgow, complete with the magician Abanazar and featuring interpolated songs from Bishop’s opera. 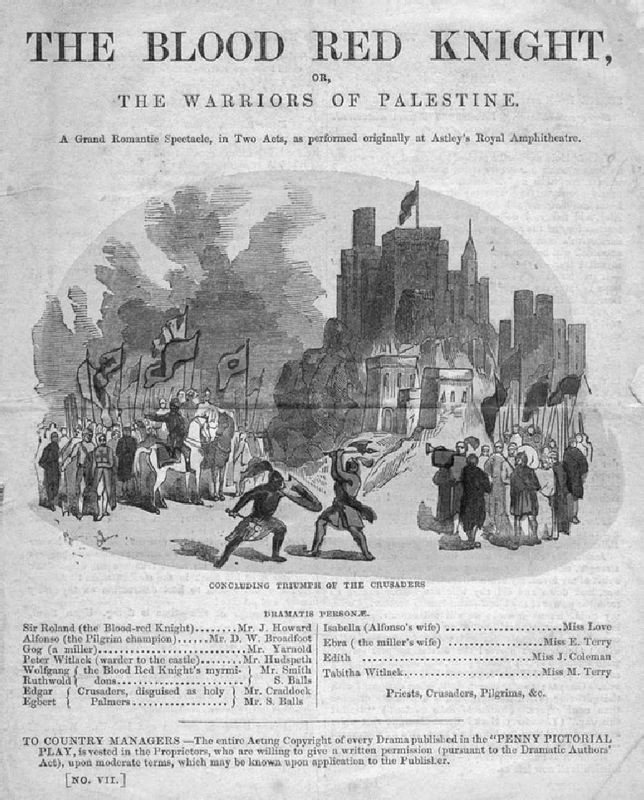 By the second half of the nineteenth century, theatrical adaptations of the Arabian Nights had veered once and for all into the land of pantomime and extravaganza, acquiring titles like Aladdin and His Wonderful Lamp; or, Harlequin the Wicked Wizard and the Forty Thieves in 1884 and Aladdin; or, The Naughty Young Scamp Who Ran Off with the Lamp in 1897. These later versions continued to feed the public’s fascination with the East, sometimes combining several strands of interest, as in Aladdin and the Wonderful Lamp or the Willow Pattern Plate and the Flying Crystal Palace” in 1884. What did not change, and never will, I think, is the fact that the telling of tales and the desire to listen to the tales of others is a defining human characteristic, perhaps the defining human characteristic – one that is perfectly exemplified by The Arabian Nights’ Entertainments and its early stage adaptations. 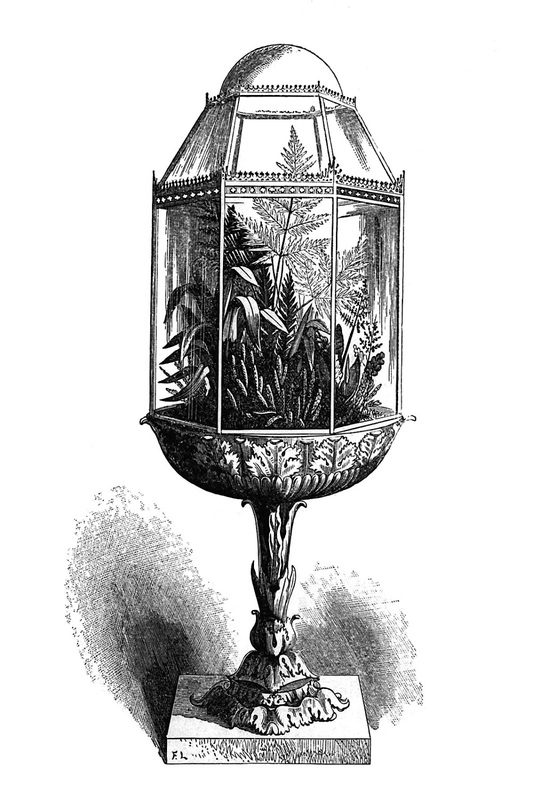 Just a quick note to readers of The Victorian Peeper: as more and more of my time is devoted to writing up my PhD thesis, I have temporarily shifted my focus away from this blog and towards Facebook (VictorianLondon) and Twitter (@Tetens). 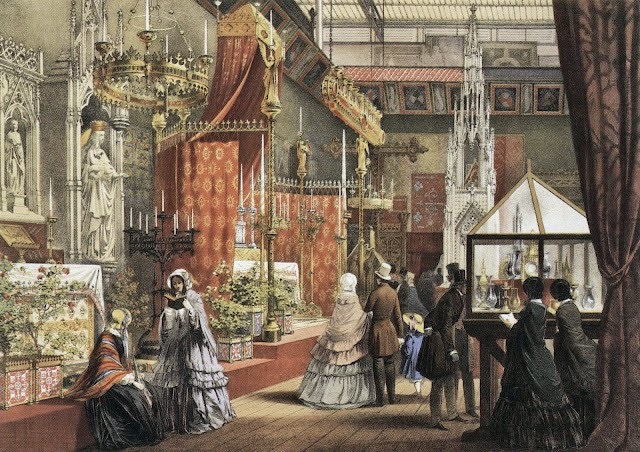 Please follow me in one or both of those places for the latest information on books, exhibitions, and events of interest to Victorianists. I will continue to update the "Exhibitions and Events" listing here, as well as the lists of search tools and resources. 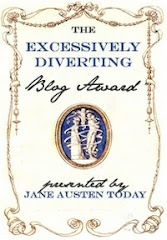 I will return to writing this blog as time permits. Thank you all very much for your understanding and support. In 1852, the year after his groundbreaking survey of London's working classes was published in book form, Henry Mayhew (1812-1887; DNB bio here, Wiki bio here) climbed into the wicker basket of a hot air balloon piloted by the legendary aeronaut Charles Green (1785-1870; DNB bio here, Wiki bio here). "I had seen the world of London below the surface, as it were, and I had a craving to contemplate it far above it – to behold the immense mass of vice and avarice and cunning, of noble aspirations and humble heroism, blent into one black spot," he writes in his vivid account of the evening voyage, which began in the bright pleasure-grounds of Vauxhall Gardens and ended in a Surrey swamp. And indeed, as the famous Royal Nassau balloon rose into the air, the geography of the lives of the costermongers, oyster sellers, flower girls, hawking butchers, and pickpockets whose activities he recorded in London Labour and London Poor came into undifferentiated view. 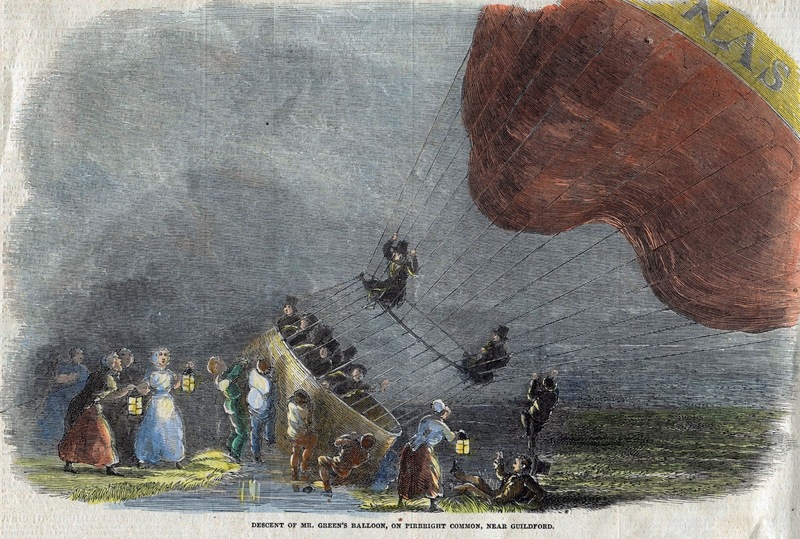 This occasion marked Green's 500th ascent in the Royal Nassau; in 1836, in the same balloon, he had led a voyage from London that ended 480 miles and eighteen hours later in Weilburg, Germany—a flight that was at the time (and until 1907) the world’s longest. I am naturally a coward – constitutionally and habitually timid – I do not hesitate to confess it. The literary temperament and sedentary pursuits are, I believe, seldom associated with physical courage. Fear, or the ideal presence of prospective injury, is necessarily an act of the imagination; and the sense of danger, therefore, closely connected with a sense of the beautiful and the aesthetic faculties in general. Your human bull-dogs are mostly deficient in mental refinement, and perhaps if there be one class of characters more fancyless than the rest of the world, they are those who are said to belong to the “fancy.” My creed is that all imaginative men are cowards; and that I am one I have at least moral courage and honesty enough to acknowledge. Then why go up in a balloon? Yes, why? These are times when men’s principles of action are sure to be canvassed; so, to prevent the imputation of any false motives, I will make a clean breast of it, and confess that it was merely “idle curiosity,” as the world calls it, that took me into the air. I had seen the great metropolis under almost every aspect. I had dived into holes and corners hidden from the honest and well-to-do portion of the cockney community. I had visited Jacob’s Island (the plague spot) in the height of the cholera, when to inhale the very air of the place was almost to breathe the breath of death. I had sought out the haunts of beggars and thieves, and passed hours communing with them as to their histories, habits, natures, and impulses. I had seen the world of London below the surface, as it were, and I had a craving to contemplate it far above it – to behold the immense mass of vice and avarice and cunning, of noble aspirations and humble heroism, blent into one black spot; to take, as it were, an angel’s view of that huge city where, perhaps, there is more virtue and more iniquity, more wealth and more want huddled together in one vast heap than in any other part of the earth; to look down upon the strange, incongruous clump of palaces and workhouses, of factory chimneys and church steeples, of banks and prisons, of docks and hospitals, of parks and squares, of courts and alleys – to look down upon these as the birds of the air look down upon them, and see the whole dwindle into a heap of rubbish on the green sward, a human ant-hill, as it were; to hear the hubbub of the restless sea of life below, and hear it like the ocean in a shell, whispering to you of the incessant strugglings and chafings of the distant tide – to swing in the air far above all the petty jealousies and heart-burnings, and small ambitions and vain parades, and feel for once tranquil as a babe in a cot – that you were hardly of the earth earthy; and to find, as you drank in the pure thin air above you, the blood dancing and tingling joyously through your veins, and your whole spirit becoming etherealised as Jacob-like, you mounted the aerial ladder, and beheld the world beneath you fade and fade from your sight like a mirage in the desert; to feel yourself really, as you had ideally in your dreams, floating through the endless realms of space, sailing among the stars free as “the lark at heaven’s gate,” and to enjoy for a brief half-hour at least a foretaste of that elysian destiny which is the hope of all. To see, to think, and to feel thus was surely worth some little risk, and this it was that led me to peril my bones in the car of a balloon. It is true that the aerial bulls and ponies of late had taken nearly all poetry from the skies, reducing the ancient myths to the mere stage trickeries of an ethereal Astley’s; true that the depraved rage for excitement -- that species of mental dram-drinking which ever demands some brutal stimulant – had given a most vulgar, prosaic character to a voyage which, when stripped of its peril, is perhaps one of the purest and most dignified delights that the mind is capable of enjoying; still, quickened with a love of my own art, and heedless of any silly imputations of rivalry with quadrupeds and mountebanks, I gladly availed myself of a seat in the car which Mr. Green had set aside for me. At about a quarter to seven o’clock, six of us and the “veteran aeronaut” took our places in the large deep wicker buck-basket of a car attached to the Royal Nassau Balloon, while two gentlemen were seated immediately above our heads, with their backs resting against the netting and their legs stretched across the hoop to which the cords of the net-work are fastened, and from which depends the car. There were altogether nine of us – a complete set of human pins for the air to play at skittles with – and the majority, myself above the number, no sylphs in weight. Above us reeled the great gas-bag like a monster peg-top, and all around the car were groups of men holding to the sides of the basket, while the huge iron weights were handed out and replaced by large squabby bags of sand. In the course of about ten minutes all the arrangements for starting were complete; the grapnel, looking like a bundle of large iron fish-hooks, welded together, was hanging over the side of the car. The guide-rope, longer than St. Paul’s is high, and done up in a canvas bag, with only the end hanging out, was dangling beside the grapnel, and we were raised some fifty feet in the air to try the ascensive power of the machine that was to bear us through the clouds. Then, having been duly dragged down, the signal was at length given to fire the cannons, and Mr. Green loosening the only rope that bound us to the Gardens, we shot into the air—or rather the earth seemed to sink suddenly down, as if the spot of ground, with all the spectators on it, and on which we ourselves had been lately standing, had been constructed on the same principle as the Adelphi stage, and admitted of being lowered at a moment’s notice. The last thing that I remember to have seen distinctly was the flash of the guns, and instantaneously there appeared a multitude of upturned faces in the Gardens below, the greater part with their mouths wide open, and a cheveux de fries of hands extended above them, all signaling farewell to us. Then, as we swept rapidly above the trees, I could see the roadway immediately outside the Gardens, stuck all over with rows of tiny people, looking like so many black pins on a cushion, and the hubbub of the voices below was like the sound of a distant school let loose. And here began that peculiar panoramic effect which is the distinguishing feature of a view from a balloon, and which arises from the utter absence of all sense of motion in the machine itself. The earth appeared literally to consist of a long series of scenes, which were being continually drawn along under you, as if it were a diorama beheld flat upon the ground, and gave one almost the notion that the world was an endless landscape stretched upon rollers, which some invisible sprites were revolving for your especial enjoyment. Then, as we struck towards the fields of Surrey, and I looked over the edge of the car in which I was standing, holding on tight to the thick rope descending from the hoop above, and with the rim of the wicker work reaching up to my breast, the sight was the most exquisite delight I ever experienced. The houses below looked like the tiny wooden things out of a child’s box of toys, and the streets like ruts. To peer straight down gave you an awful sense of the height to which the balloon had already risen, and yet there was no idea of danger, for the mind was too much occupied with the grandeur and novelty of the scene all around to feel the least alarm. As the balloon kept on ascending, the lines of buildings few smaller and smaller, till in a few minutes the projections seemed very much like the prominences on the little coloured plaster models of countries. Then we could see the gas lights along the different lines of road start into light one after another all over the earth, and presently the ground seemed to be covered with little miniature illumination lamps, such as may be seen resting on the grass at the sides of the gravel walks in suburban gardens of amusement. The river we could see winding far away, undulating, as it streamed along, like a man-of-war’s pennant, and glittering here and there in the dusk like grey steel. All round the horizon were thick slate-coloured clouds, edged with the orange-red of the departed sun; and with the tops of these we seemed to be on a level. So deep was the dusk in the distance, that it was difficult to tell where the earth ended and the sky began; and in trying to make out the objects afar off, it seemed to be as if you were looking through so much crape. The roads below were now like narrow light-brown ribbons, and the bridges across the Thames almost like planks; while the tiny black barges, as they floated up the river, appeared no bigger than insects. The large green fields had dwindled down to about the size of kettle-holders, and the hedges were like strips of chenille. When we were about a mile above the ground some of us threw pieces of paper into the grey air, and these, as we rose and left them below, fluttered about like butterflies as they fell. Then some of the more noisy of the crew struck a song; while I heard a dyspeptic gentleman immediately behind me, as I was kneeling down (for there was but one seat), and stretching my head over the side of the car, contemplating the world of wonder below, confess to feeling a little nervous, saying that he was a man of natural moral courage, but his body overcame it as he was subject to fits of indigestion and as a preventive to extreme nervousness had taken nothing but vegetables for dinner that day. And I must confess myself that, poised up high in the air, as we were, with but a few slender cords to support us, I could not help thinking of the awful havoc there would be if the twigs of the wicker car were to break and the bottom to give way. On what sharp church steeple thought I should I be spitted, and as I looked down the beauty of the scene once more took all sense of fear from my mind, for the earth now appeared concave with the height, and seemed like a huge black bowl—as if it were the sky of the nether regions. The lights of the villages scattered over the scene, were like clusters of glow-worms, from the midst of which you could here and there distinguish the crimson speck of some railway lamp. “There, I’ve thrown over a letter, directed to my house,” said one of the passengers, “telling ‘em we’re all safe up here”—and as I stretched over the car I saw the little white fluttering thing go zigzagging down the air, while we still mounted the sky. Silence, however, was soon restored by Mr. Green reminding the disputants that we were descending at a rapid rate, and it was time they began to look out for their safety. The dyspeptic passenger, who during the dispute had evidently been suffering from another attack of nervousness, was at length terrified beyond human endurance by the gentleman who was rather the worse for champagne indulging in even warmer language than he had yet given vent to. The collapsing of the bottom part of the balloon to which Mr. Green here drew our attention as evidence of the rate at which we were descending, soon restored order, and made every one anxious to attend to the directions of the aeronaut. We could now hear the sounds of “Ah bal-loon” again rising from the ground and following in our wake, telling us that at the small villages on our way the people were anxiously looking for our descent. A bag of ballast was entrusted to one of the passengers to let fall at a given signal, while Green himself stood with the grapnel ready to loose immediately he came to a fitting spot. Presently the signal for the descent of the ballast was given, and as it dropped it was curious to watch it fall; the earth had seemed almost at our feet as the car swept over the fields, but so long was the heavy bag in getting to the ground that, as the eye watched it fall and fall, the mind was filled with amazement at the height the balloon still was in the air. Suddenly the sound as of a gun announced that the bag had struck the soil, and then we were told all to sit low down in the car and hold fast; scarcely had we obeyed the orders given than the car was suddenly and fiercely jerked half round, and all within it thrown one on top of another; immediately after this, bump went the bottom of the car on the ground giving us so violent a shake that it seemed as if every limb in the body had been simultaneously dislocated. Now the balloon pitched on to its side, and lay on the ground struggling with the wind, and rolling about, heaving like a huge whale in the agonies of death. “For heaven’s sake! Hold fast,” shouted Mr. Green, as we were dashed up and down in the car, all rolling one on the other, with each fresh lurch of the giant machine stretched on the ground before us, and from which we could hear the gas roaring from the valve, like the blast to a furnace. “Sit still, all of you, I say!” roared our pilot, as he saw someone endeavouring to leave the car. Again we were pitched right on end, and the bottom of the car shifted into a ditch, the water of which bubbled up through the wicker work of the car, and I, unlucky wight, who was seated in that part to which the concussions were mostly confined, soon began to feel that I was quietly sitting in a pool of water. To move, however, was evidently to peril not only one’s own life, but that of all the other passengers, but still no one came to us, for we had fallen into a swamp, which we afterwards found out was Pirbright-common, situate some half-dozen miles from Guildford. Presently, however, to our great delight, some hundred drab-smocked countrymen appeared, almost as if by magic, around the edges of the car; for some little time they were afraid to touch, but at last they got a firm hold of it, and we were one after another extricated from our seats. 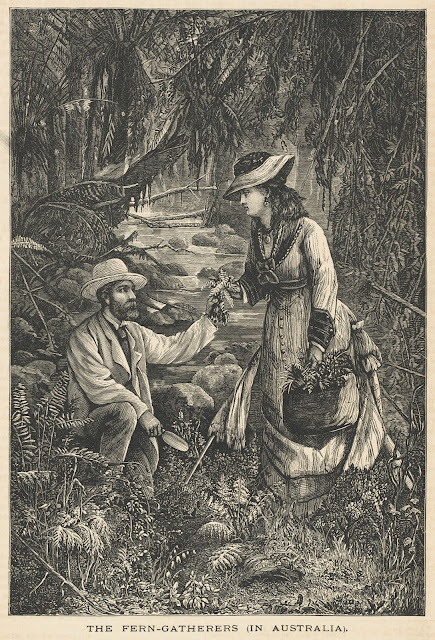 To tell the remainder of the adventure would be tame and dull: suffice it after some two hours’ labour, the aerial machine, car, grapnels, and all, was rolled and packed up in a cart, and thus transported, an hour after midnight, to Guildford; the voyagers journeying to the same town in a tilted cart, delighted with their trip, and listening to the many curious adventures of the veteran aeronaut who had successfully piloted them and some hundred others through the air; and who, now that the responsibility of their lives rested no longer in his hands, seemed a thoroughly different man: before he was taciturn, and almost irritable when spoken to; and now he was garrulous, and delighting all with his intelligence, his enterprise, his enthusiasm, and his courtesy. Indeed, long shall we all remember the pleasant night we passed with the old ethereal pilot on his 500th ascent with the Royal Nassau Balloon.